The Mayor of Nashville TN, Megan Barry needs to know her place, and attempting to pit police agencies against each other is not it. Ms Barry is known across Tennessee as being ultra liberal, embracing illegals and members of the Muslim community who hold relationships with controversial organizations. Ms. Barry also needs to be reminded she took an oath to protect her entire city, not just those she sympathizes with. Over a week ago Immigration and Customs Enforcement (ICE) began detaining illegals, particularly those with criminal offenses, in the predominant Kurdish community. 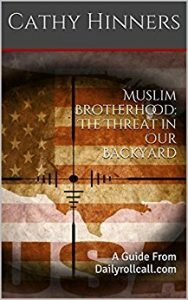 Groups like the American Muslim Advisory Council (AMAC) who often boast of their relationship with law enforcement, turned on law enforcement by suggesting members of that community not cooperate. Muslim activist Drost Kokoye, a board member of AMAC, and a member of several radical, anti-Jewish, anti-American organizations, was clear they would not go without a fight. So not only is the community not willing to weed out those here illegally with criminal issues, but Mayor Barry doesn’t want her illegal criminals to be confused if they have police contact. Does Ms. Barry find it offensive the self proclaimed spokesperson for the Kurdish community doesn’t even like America? I do. Paul Galloway, the director of AMAC doesn’t seem to mind his board member hating America, but he and his group have zero credibility for respecting law enforcement when his AMAC representative says this about police. You know, the police AMAC claims to builds bridges with. The fact the Mayor of Nashville TN is more concerned with how illegal criminals are handled rather than brought to justice is disgraceful. Perhaps for every illegal that is detained and deported she loses a vote. We are also supposed to believe the Muslim community weeds out terrorists when they wont even weed out illegals? The farce is unfolding.. stay tuned. Next → Next post: Crime or Terrorism? I’m sure Magen Berry is so very proud to see her followers marching through Downtown last night! This is the direction you have set. Nashville will never be the same! Hope your happy, because this town is definitely not!